Here at Brilliance, we want each customer to make an informed decision when choosing a certified diamond so that they will be completely satisfied with their purchase. 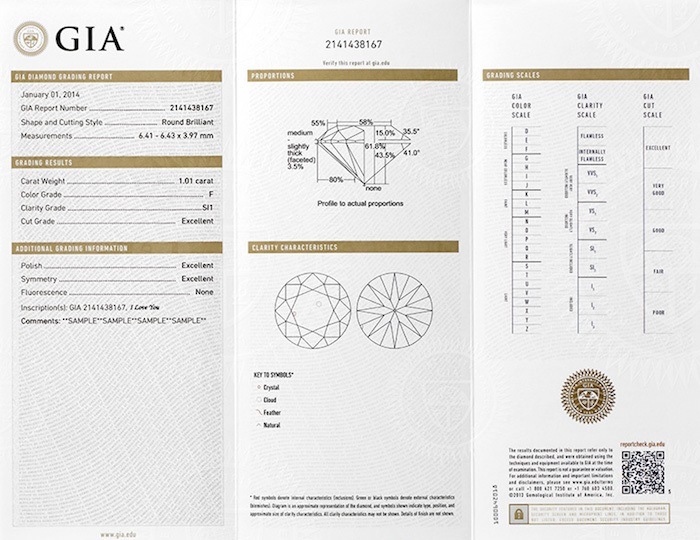 Although a benefit of purchasing a certified diamond is that a consumer can compare diamonds based on the Four Cs and other factors, it is important to note that the grading standards of the various laboratories vary. This variation results in a discrepancy in the quality of diamonds graded in different laboratories, even when they are graded the same color, clarity, or cut. 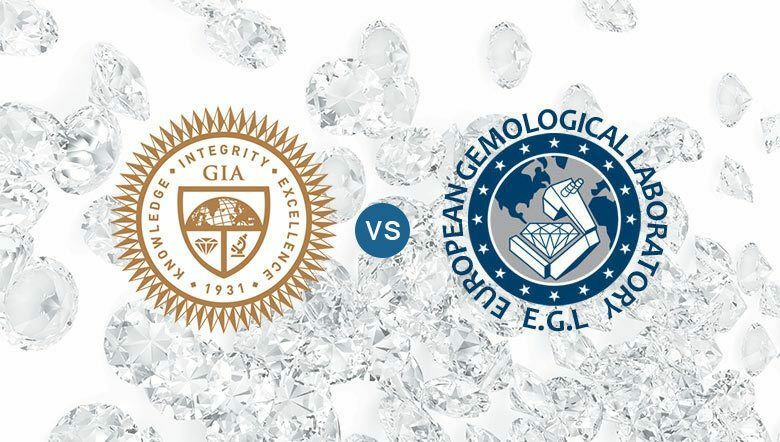 Of the five laboratories that certify the loose diamonds we offer at Brilliance, the Gemological Institute of America (GIA) and the European Gemological Laboratory (EGL) are by far the most popular. When deciding which certification to go with, it is important to understand the vital differences between the grading techniques of the two laboratories. The GIA was established in 1931 and is considered worldwide as the leading authority in gemology. Their staff of 1,400 employees includes scientists, certified diamond graders, and educators. They currently have locations in all major diamond cities in the world, including Carlsbad, New York, Moscow, Florence, Antwerp, Tel Aviv, Mumbai, Gaborone, Johannesburg, Beijing, Hong Kong, Seoul, Tokyo, Osaka, Taipei, and Bangkok. GIA is credited with standardizing the grading industry by introducing the Four Cs and other widely used grading techniques. They offer diamond grading and laser inscription services, as well as a wide range of educational services for diamond professionals and consumers. Questions? Call 866-737-0754 to speak with a diamond expert. Founded in Europe in 1974, the EGL International and the EGL USA laboratories employ over 1,100 scientists, diamond graders and educators. Their EGL International locations are found in Antwerp, London, Paris, Mumbai, Johannesburg, Hong Kong, Seoul, and Tel Aviv. Their locations in New York, Los Angeles, Vancouver, and Toronto are considered part of EGL USA. The EGL is known for introducing grading techniques for diamonds weighing less than one carat and for establishing the “SI3” rating for diamond clarity. In general, Brilliance suggests choosing a GIA certified diamond over an EGL certified diamond. Loose diamonds GIA certified are graded using strict standards that are consistent among the various GIA locations. Each GIA diamond is carefully evaluated by at least four expert gemologists who are chosen at random to guarantee an unbiased evaluation. The EGL’s grading standards are more lenient and vary among the EGL locations, with EGL USA locations generally grading on a slightly stricter scale than its International counterpart. As a general rule, an EGL certified diamond will compare equally in quality to a GIA certified diamond that is graded two color grades and one clarity grade lower. For example, an EGL diamond graded G in color and VS2 in clarity is comparable to a GIA diamond graded I in color and SI1 in clarity. As a result, GIA certified diamonds are considered more valuable and provide the consumer with more confidence in the product they are purchasing. However, there is a benefit to choosing an EGL certified diamond. Due to the discrepancy in the grading standards used, an EGL diamond graded the same color and clarity as a GIA diamond will be less expensive. This is seen as an advantage to those who consider the ratings stated on the certificate a priority when choosing their diamond. If you are interested in purchasing an EGL certified diamond and would like to have an expert evaluate it, contact a Brilliance diamond expert at 866-737-0754. Whether it be EGL or GIA certified, Brilliance has thousands of loose diamonds to choose from. Start your online diamond search now to find the perfect diamond.